If you are a small business owner, you may not have the biggest budget for advertising your product or services. And yet, if you don’t get the word out about your company, how can you attract customers? This has been a long-time conundrum that many small business owners have faced, whether they are selling cosmetics or computers, offering web design services or babysitting. 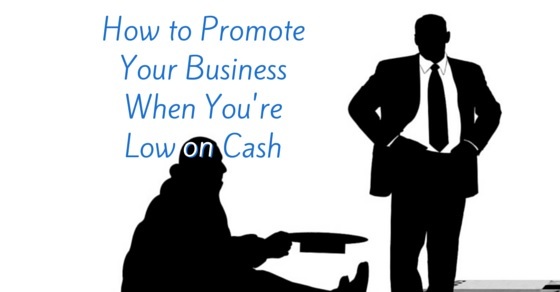 So we came up with this list of 10 ways to promote your business when you’re on a tight budget. While you may not be able to do all of these things (at least not at once), try to pick a few that are up your alley and really invest in them. There are a number of ways to do this: You can offer a free speech in the area of your expertise, a free hands-on activity, or offer friends or colleagues a testimonial on their websites (and they will most probably link back to yours). The key when offering free information is not to spend too much time on the preparation; after all, time is money. You should also try to offer the information in a way that will make the customer want to come back for more; a teaser of sorts. Getting people to visit your website is one thing – but how do you keep them there, and how do you get them to make a purchase/appointment? With killer content. This includes an appealing homepage, and a BLOG. Having a blog on your site is a fabulous way to generate both PR and backlinks. After all, the better your content, the more websites will want to share it. If you network with other bloggers in your field, you can provide mutual assistance to each other (as long as you are not competitors). For example, if you own a nail salon, you can reach out to bloggers who write about beauty, or massage therapists who want to recommend a pampering salon experience to their clients. You can ask to contribute a guest post to their blog, or ask to send them a free product to review. It’s a win-win situation, and it doesn’t cost any money. Bear in mind though, it does take time, as well as creativity. Google My Business, Yahoo Local, and Bing Places for Business are all tools that allow you to list your business so that when locals do a search, they can find you. You can also join local Yahoo groups that relate to your business, or Yahoo groups that are just based on location (for example, if you live in Elizabeth, NJ, you can search for a Yahoo group for Elizabeth residents.) And of course, you should do a Google search for any local directories that you could add your business to as well. All of these are quick and easy to do, and can yield real results. Print and distribute flyers. If you have a small business that focuses only on one area, print out some flyers to promote your business and hang them up (as long as it is legal). You can design the flyer yourself or find an inexpensive printer (one-page flyers will usually not break the bank). And again, when operating on a low budget, you need to be creative – so think about where to hang them. Local doctors’ offices, restaurants, community centers, etc. Also use your judgment about where you post (i.e., don’t post flyers for your dental practice in your competitor’s office). You can also distribute flyers (or better, hire some high school students to do it) on parked cars, in mailboxes, in business offices, hotels, and any other creative places you can think of. Offered every now and then by Google AdWords and Facebook, these deals are great for small business owners who want to market their business but normally can’t afford to shell out a big chunk of change on these costly ad campaigns. Create business accounts on on Facebook, Twitter, LinkedIn, and Google+ (and Pinterest, StumbleUpon, Instagram and any others you have time for). And post. Now remember, the goal is to get people to go to your website/buy your product/sign up for a newsletter. Facebook likes can be a means towards achieving your goal, but it is not your actual goal. In order to get people to keep listening to what you have to say and eventually get them to your site, you need to use the same principle as when you create your site: Post interesting content. Make sure to post your own content, but also post articles from other sites that are related to your field or industry, or funny/inspiring/local content that will make your followers not want to unfollow you. Do NOT do hard-sell posts every day; that is a sure-fire way to discourage people from following you. When people they see your interesting posts every day (once a day, not more), they will be more likely to remember your company when they are in need. Yes, this means that you will need to give some sort of reward to existing customers when they refer their friends, but it doesn’t need to be a reward of $100. It can be something such as a free small product or half-off on their next purchase. However, the reward should be something that people will want – a real incentive – otherwise, it won’t work! You don’t need to spend big bucks to create a professional-looking video (Fiverr has people who will do it for five bucks!). You can create an ad, an instructional video, or a FUN video. Short videos can be very powerful, and have the potential of reaching a lot of people more easily than written content. Business cards are quite inexpensive, they are professional, and they will help people remember your name. When you always have your business cards on hand, you will be able to give them out at any spontaneous opportunity. We hope that these tips will help you in promoting your own business, and we would love to hear from you about which ones worked the best for your specific business. And if you have any other tried-and-true methods that you have implemented with success, we would love to hear that as well! Some concentrate on the country in which a product was manufactured. Some try to get the very lowest price. Some evaluate the dependability of the product and supplier. In this market, it’s important for you to be real about who you are, so you can attract clients who are looking for someone like YOU. As such, you have to present the real you in the best, clearest way possible. Part of this task will entail you writing – selling yourself – through blogs, social media and through strategically-placed articles. Here’s how to impress your clients with your knowledgeability and your approachability. It’s a balancing act, but it is absolutely possible and requires no safety net. Define what you have that makes you unique. You sell scented bath soaps. Or you’re an electrician. There are a whole lot of people out there like you. What about you, your services, or the way you do business, are unique to you? Write as many ideas about your specialness as possible. Now take a look. 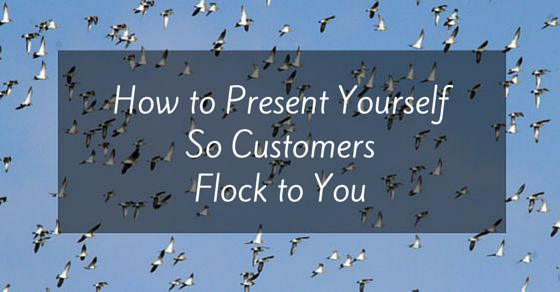 Which of those things will make a practical difference in the life of your customer? Capitalize on that. Grab ‘em from the get-go. 8 out of 10 people will read headlines. Only 2 out of 10 continue on to the rest. If your opening line falls flat, how many of those 2 will stick around? Your entire communication should be useful, helpful and interesting, but put the most concentrated thought into your headline and that opener. Make it captivating. Write to others at their level. Read over what you’re putting together. If this wasn’t your specialty, would you, as an intelligent person, understand what is written? The easier a writer is to understand, the more popular that writer tends to be. Writing for a grade school or middle school reading level isn’t belittling – it’s actually good business practice. Don’t overshoot and be unapproachable. There are many download-able and print-able editorial calendars available out there to help you keep track of your publishing plans. Make sure people are hearing from you. For somewhere between free and cheap, you can use social media, publish blog posts and email a mailing list. Many people connect more readily and regularly with one of these rather than the whole range of possibilities, so spread yourself around. People don’t usually write down a name the first time they see it, but if you’ve visible, you have more chances of being remembered or being tracked down when needed. End with calls to action. Have a link to your Facebook page from your blog and ask people to “like” your company. Have a free downloadable printable. Link from your blog to a sign-up mini-screen to receive exclusive email offers from you. Get people involved and invested. Be knowledgeable, interesting and fun. On top of sharing information and advice, share some interesting trivia facts or other fun stuff about your industry. I keep up with an amazing plumber who posts great, short YouTube clips and photos, not only of the fantastic plumbing jobs he’s done, but also of him juggling toilet plungers and solving plumbing mysteries. You can bet he’s the only guy I call when I even smell a plumbing issue! In a nutshell, look as an outsider at how you’re presenting yourself. Would YOU like to do business with you?